Earlier topic: Which basic ink colors should I get? Hello: I have a small tabletop press… biggest sheet of paper I am ever likely to print on would measure no more than 8 1/2” x 5 1/2”. Mostly I print small items for the gun shop I work at, i,e,: price tags, buying books, business cards, etc. The “print shop” is primarily a hobby. 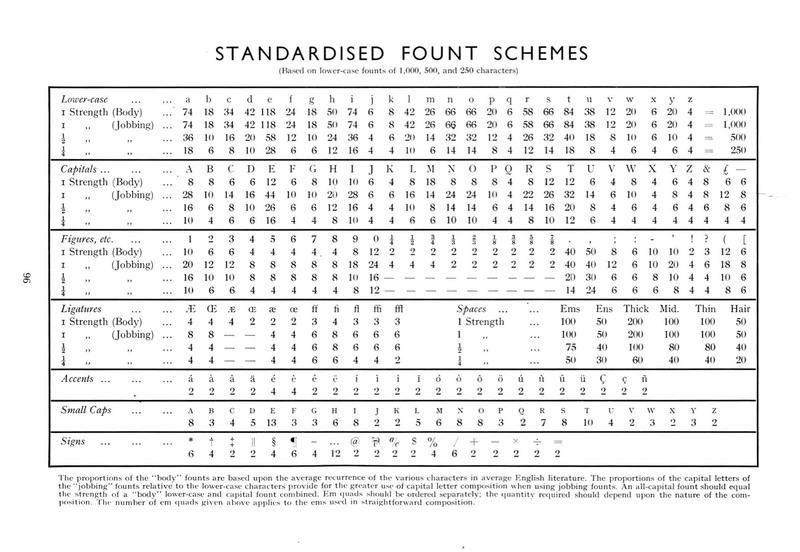 I have fonts in 18 and 12 point, mostly purchased from M&H, but it had very little spacing material. My question: how much spacing material (EM-quads, EN-quads, spaces, etc.) and how much weight of leads and slugs would I likely need to order for such small jobs? Thanks.